After our last post on the book versus movie debate, we had some great new comments on that topic, so I thought it might be fun to get some more literary conversation going with these two jewels that were down in the vault with the big blind dragon out front. 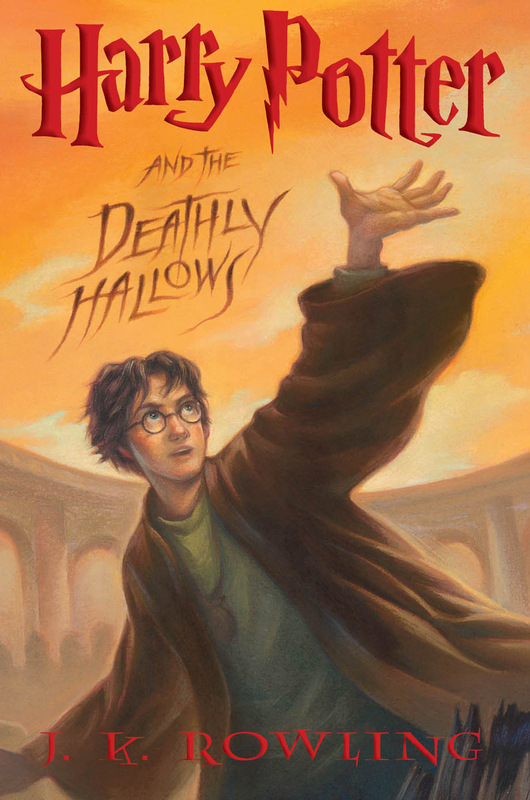 In these two posts, our intrepid Headmaster analyzes the two fascinating epigraphs for The Deathly Hallows: one from William Penn’s More Fruits of Solitude and one from the Aeschylus play The Libation Bearers. If you haven’t noticed by now, our Ms. Rowling does very little without careful thought and deliberation (and determination, and destination!). Her epigraphs were selected with the utmost care, and their resonance through the text is powerful indeed. Enjoy these gems, as we ruminate on two bits of text that never had a chance of making it into either section of the Deathly Hallows movie (c’mon, you movie people, prove me wrong!). And keep those comments and suggestions coming as we head into the home stretch! Now that we know the complete Harry Potter story from beginning to end, it is sometimes hard to remember just what a big part of our lives was once consumed with making predictions about how it all would end, how we spent those years between books feverishly speculating. In fact, my husband was not sure we should let our son read the whole series beginning to end, since we had to endure that dreadful interlibrum (wait between volumes). In fact, that wait has led me to since swear off beginning any series that was not yet complete (I did cheat for Hunger Games, since I started just a few months before Mockingjay). The wait for the last film isn’t so tough, of course, as we know how it goes, but it is fun to look back at how we spent our time about four years ago. This fun post looks back at the many predictions made by scholars and readers before the release of the final volume, and includes votes and comments for the best, most accurate, and just plain wackiest pre-publication predictions. Enjoy! And keep those suggestions coming about posts you would like to see released from the past! 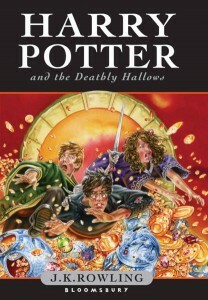 We are happy to hear that folks are enjoying revisiting some of the older Deathly Hallows posts as we prepare for the release of part two of the final film! Since many folks have only just joined us in the last couple of years, some of these fossils are brand new for you! 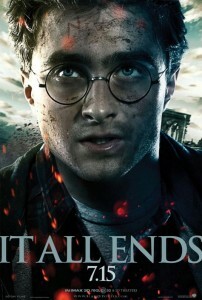 We hope that you’ll explore some of the other treasures in the archives, not just ones setting up the final Harry film. We have some great treasures lurking in the past. Here’s a fantastic little gem from three years ago, in which our beloved headmaster, who is certainly not in contention for head of the Hogwarts Faculty Film Fanciers Society, makes some lovely points about the relationship between films and the books on which they are based, with some very fine points for us to ponder while we wait in virtual line on Fandango. Enjoy! So, as promised, we are dusting off some of our “greatest hits” of Deathly Hallows Posts, in case you missed them the first time out, or in case a nasty Memory charm backfired and obliterated your recollection of them. Here is a great “bonus” post–thirty of the threads from the novel’s intial release in 2007. Remember those days? I was still drinking cocoa and trying to recover. Enjoy this great visit down memory lane, with posts on subjects from symbolism to fairy tales to reader reaction back when the last book was big news! As we get ready to revisit the last half of the story via the cinema, we can revist some of these great ideas, too! Enjoy! And don’t forget to send in those requests!